Hide Cloud Drive - Want to keep your files secure on cloud sync folder, desktop, document folders? Do you want to keep your cloud sync folder safe? Do you want to keep your cloud sync folder data safe while you are away from your PC? This 'Hide Cloud Drive' product hide sync folder and Tray Icon of cloud drive. It also protects your files by hiding the Desktop, Documents and Pictures folders. * You can apply the 'Deny Access' or 'Read Only' policy for the selected cloud drives. 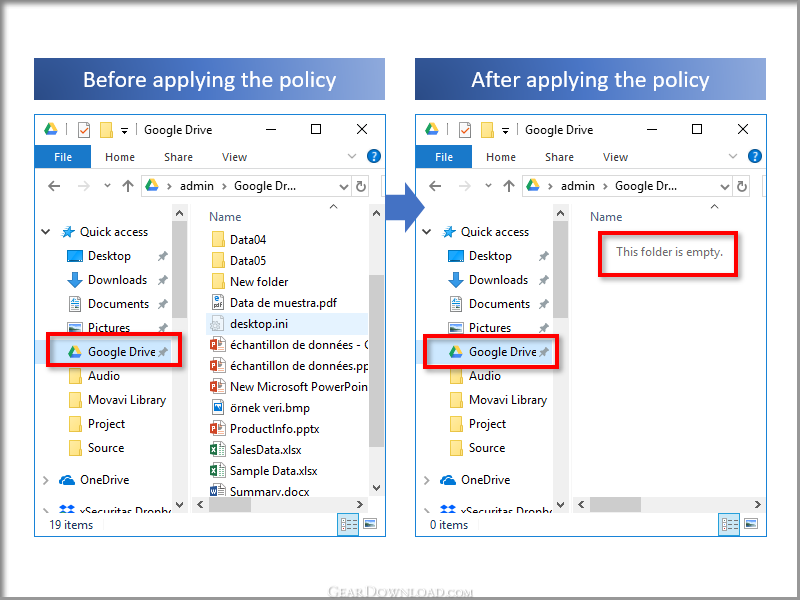 * When 'Deny Access' policy is selected, the cloud sync-folder is inaccessible and the Tray Icon and shortcut disappear. As a result, others can not access Cloud Drive. * You can also apply 'Deny Access' or 'Read Only' policies to the Desktop, Documents, Pictures folder. * This applies to the Cloud Drive displayed in Explorer, not to Cloud in the Web Browser. * If you change the Cloud Sync Folder while running the application, the application will control all Sync Folders before and after the change. After rebooting, only the changed Sync Folder is controlled. This download (Setup-Hide-Cloud-Drive.exe) was tested thoroughly and was found 100% clean. Click "Report Spyware" link on the top if you found this software contains any form of malware, including but not limited to: spyware, viruses, trojans and backdoors. Host Security Personal 1.40.115 - Password-protect files, folders, and drives. Firewall network and stop hackers! Outlook Express Security 2.394 - Disable access to Outlook Express and password-protect its message base. Advanced Internet Kiosk 7.76 - Build Internet kiosks, public access PCs, or in-store terminals.